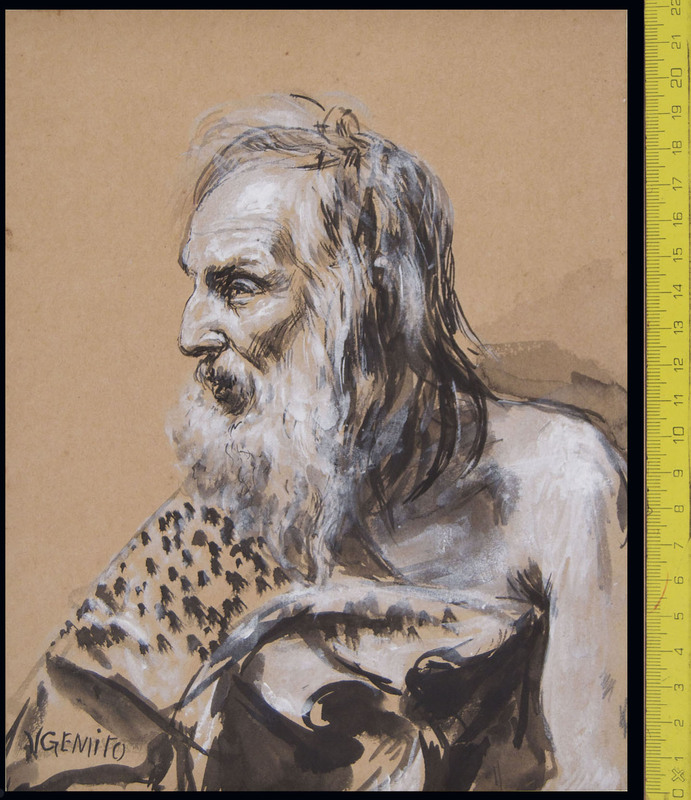 Brush, black ink, heightened with white, over traces in black chalk. 180 x 225 mm. Signed V GEMITO in black ink at bottom left. 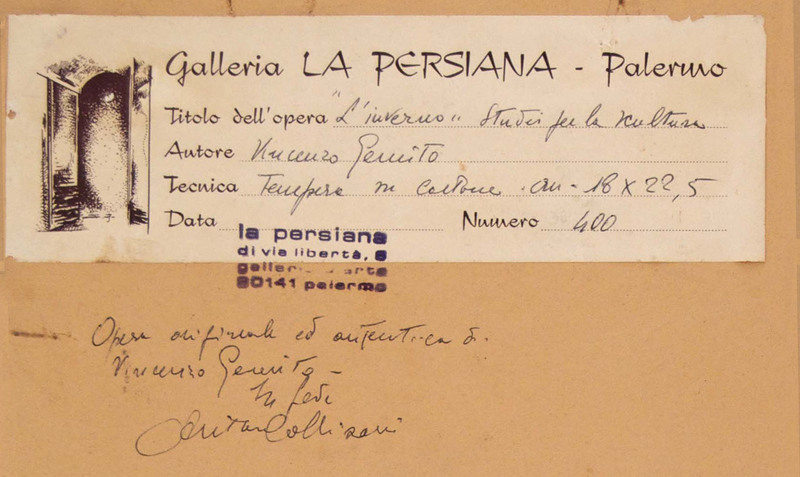 PROVENANCE: Galleria la Persiana, Palermo. See the label on the back of the frame. 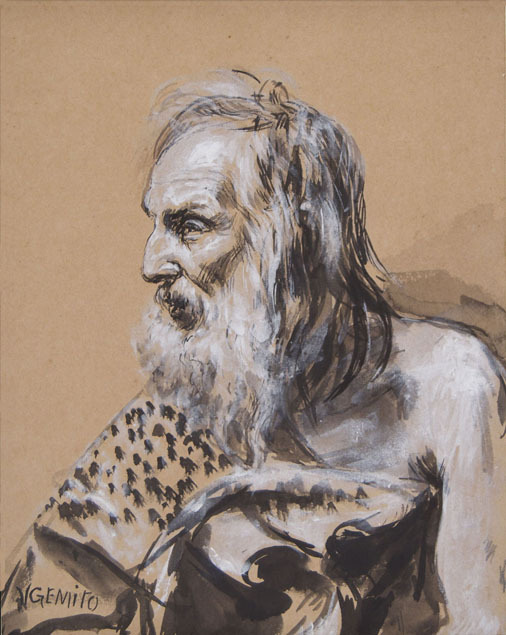 This drawing, unpublished, relates to a pair of sculptures and two drawings. 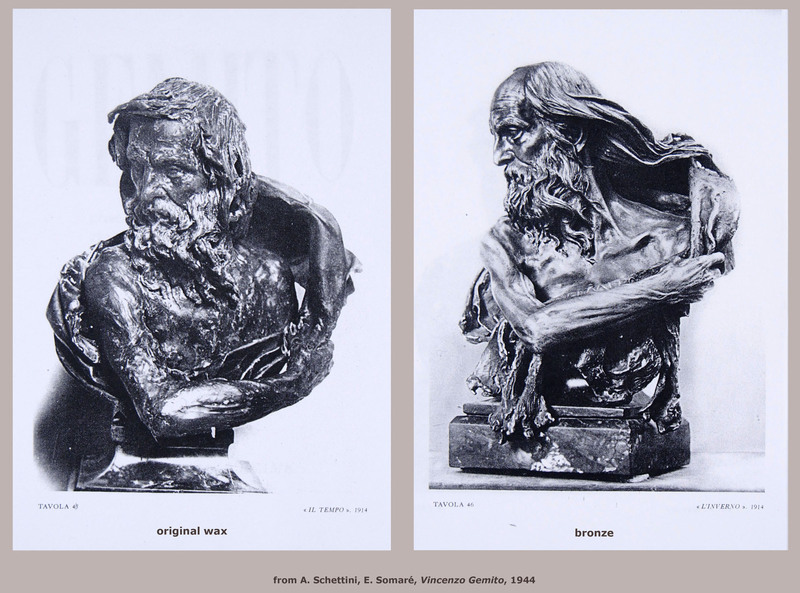 The two sculptures, both dated 1914, have been published in 1944; see A. Schettini, E. Somaré, Vincenzo Gemito, 1944; tav. 45 and 46. The current location of these works is unknown to me. 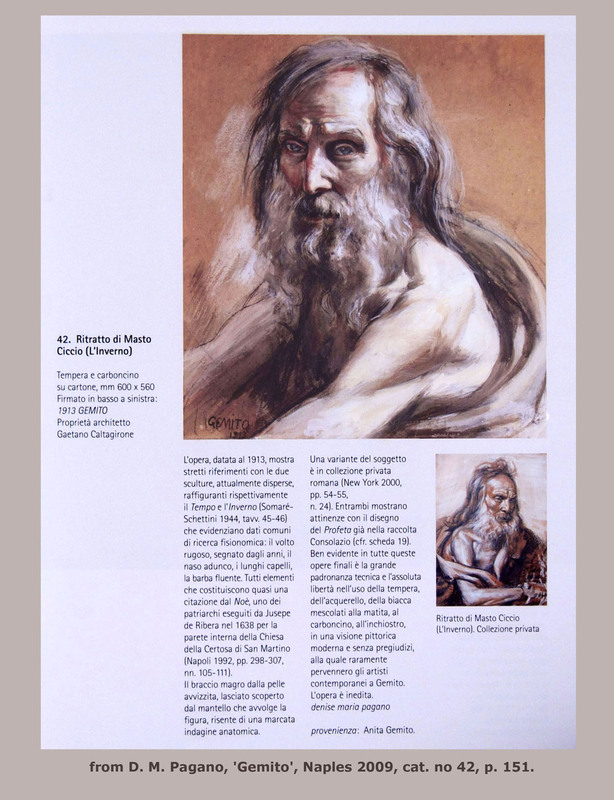 Both sculptures, a original wax and a bronze, portray Masto Ciccio, Gemito's adoptive father, respectively as an allegory of Time and as an allegory of Winter Two other drawings related with the pair of sculptures and depicting Masto Ciccio as an allegory of Winter have been quite recently published in the catalogue of the Gemito exhibition in Villa Pignatelli, Naples, see D. M. Pagano, Gemito, Naples 2009, cat. no 42, p. 151. These two drawings are dated 1913 and 1914. The same dating we propose for our drawing. Gemito's beloved adoptive father Francesco Jadicicco called Masto Ciccio had married Gemito's mother, Giuseppina Baratta, in 1875 when Gemito was 23 years old. Masto Ciccio played a prominent role in Gemito's life, offering constant support and friendship to the sculptor. 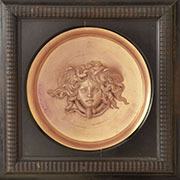 He is often depicted in Gemito's drawings and worked for a period of time in Gemito's foundry.